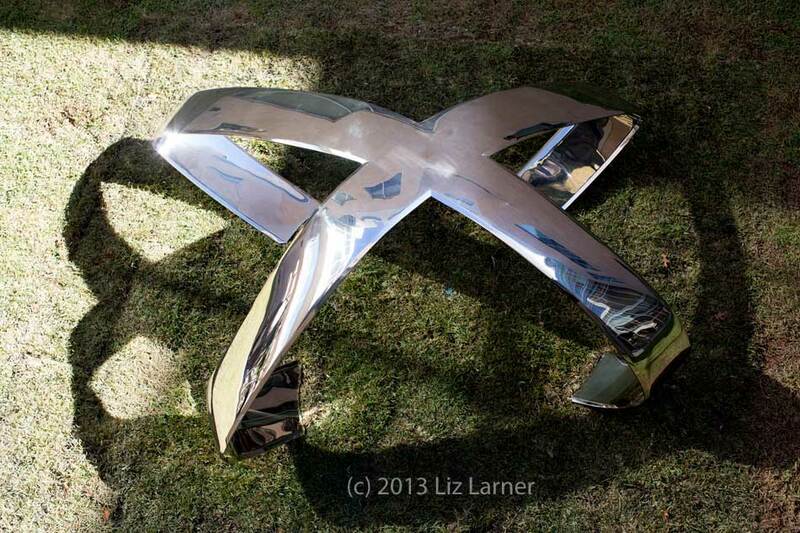 California artist, Liz Larner, created this bright, shiny, curvy X sculpture as part of the 2013 Nasher XChange: X Exhibit at the Edith O’Donnell Arts and Technology Building at the University of Texas in Dallas. She beautifully symbolizes the intersection of art and technology. I love the elegant simplicity and power of this piece. She experiments with abstract sculptural forms in a dizzying array of materials, including polychromatic ceramics that evoke the tectonic geologic shifts of the western landscape. An inventor of new forms, Larner’s sculptures are not easy to categorize. They defy easy description by design, such as the geometric sculpture of a cube turning into a sphere that is both yet neither, or a complex chain of linked metal rings that never tangles and can also be worn as jewelry. View more of Liz’s extraordinary via her gallery on RegenProjects.com.